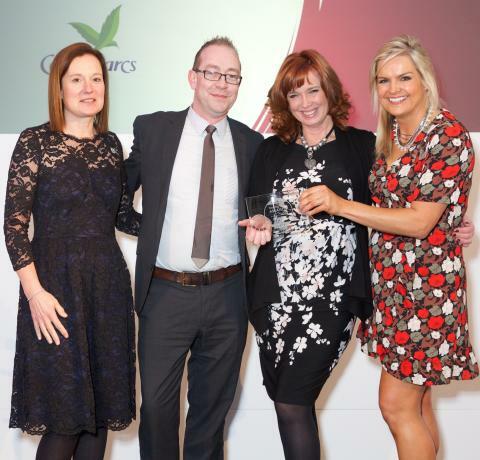 Center Parcs were honoured as Best UK Holiday Provider for the thirteenth time at the annual Tommy’s Award which took place on 11th March at the Landmark Hotel, London to a packed audience of household name companies, celebrities and Tommy’s supporters. The Tommy’s Awards recognise and celebrate the best family-friendly companies that help make the lives of parents and parents-to-be that little bit easier. From a shortlist of five, Center Parcs received the most votes. This year 44,688 votes were cast on Bounty, the pregnancy and parenting website. This was double the amount of votes received last year. The awards are nominated and voted for by the public, in categories ranging from Best Holiday Provider to Best Skincare Product for Mums. All the winners were announced at an awards ceremony at the Landmark Hotel, London presented by TV and radio presenter Katy Hill. Celebrities in attendance included Harry and Izzy Judd, Nancy Sorrell, Vicki Butler Henderson and Kirsty McCabe. The awards ceremony also includes Individual Awards which includes categories for Super Sibling, Doting Dad, Inspirational Mum, Courage, Angel, Family Superstar, Little Champion and Mum's Voice, a new category this year for a mum who has spoken out about her own pregnancy experience and given hope to others. Now in its 21st year, the Tommy’s Awards recognise heroes of families who’ve have been touched by pregnancy complications, or the loss of a baby. Each year in the UK, one in four parents lose a baby through miscarriage, stillbirth and premature birth.